If your neighbor lost his job a year after his wife died, and he had three small kids, would you "help" him by taking away his kids? If a family in your church or congregation's house burnt down and they had no family to stay with, would you help them by adopting their infant child? Recently, Ronnie Stewart a Florida minister of the Refuge Church of New Port Richey, and his wife, Krystal, discovered a homeless family out in the rain. They offered to take their two young sons home for a bath and a warm bed, leaving the parents out in the rain. They are now in the process of adopting the one- and two-year-old boys. While many commended the Stewart's for their good-hearted gesture, Kerri Sackville takes exception and many commenters agree with her. "Rescuing children" while leaving their family behind is not the most humane response to a tragedy. Family Preservation is defined here by Child Welfare Information Gateway and here by the National Family Preservation Network. Quite simply it describes efforts to keep families together and prevent unnecessary out-of-home placement of children. Family Preservation recognizes that children need protecting and society's goal should always be to provide and ensure their safety. Family Preservation seeks to have these goals met while respecting and honoring the inalienable right of every child born to remain safely with the mother and/or father who conceived and/or bore him/her whenever possible. Family Preservation recognizes that the parent/child relationship is a sacred connection that should not be severed without due cause, for the protection and safety of the child, and only after all means of addressing the problems of the family unit have been exhausted. Family Preservation seeks to uphold the constitutional rights of parents as well as expectant mothers and fathers to protect, care for and maintain a bond with their offspring. Family Preservation thus advocates that we treat every mother and father equally without judgment based on age, marital status, physical or cognitive ability, or financial status. It rejects exploiting parental weaknesses in order to commodify their child to meet a demand. It is about providing affordable health and day care to level the playing field. Family Preservation is about helping families overcome crisis and remain intact by providing necessary opportunities, resources, options, and help to do so. Mothers and fathers in crisis need to receive objective family-centered option counseling and all the resources, referrals, and support needed to remain as an intact family and to be protected from fraud, coercion and exploitation which separates them from their child. Mothers and fathers of a child requiring substitute care should be provided legal counsel to be fully aware of their rights and recourse. Such counsel should be paid for by a tax or fee paid into a general fund and not directly by anyone with an interest in obtaining custody of their child. Family Preservation calls for extended family to be the first resource for children whose parents are not able or willing to care for them and for stranger placements to be a last resort that allow so that the child to may know all of their genetic/DNA contributors. Family Preservation is not in any way related to right wing so-called "family values" nor is it code for being "anti-adoption." Family Preservation does not advocate allowing children to remain in abusive or severely neglectful homes nor forcing any mother who does not want her child to parent said child. Family Preservation services and initiatives were developed and are promoted in response to an over-reliance on transient and often unsafe out-of-home foster care. Use of the term Family Preservation can be traced back to 1890s and the negative reaction to the 'orphan train movement.' In the 1909 White House Conference on Children it was the top ranked issue. By 1966 the Casey Family Programs operated to provide and improve -- and ultimately prevent the need for--foster care. •	The National Family Preservation Network was founded in 1992 to serve as the primary national voice for Intensive Family Preservation and Reunification Services (IFPS & IFRS) and a myriad of state programs, many affiliated with schools of social work. •	Lumos works to help the world's orphans regain their right to their own family, in the face of high demand for children to adopt. Lumos finds that supporting children to remain in their own communities is more cost effective - in addition to being more humane - than funding institutions. They work with governments, professionals, communities and families to provide resources needed to prevent unnecessary, permanent family separations, such as medical care and education. •	National Institute for Permanent Family Connectedness (NIPFC) operates from the position that "every child has a family, and family members can be found when we try." We owe our children in need, they say, no less than employing every effort to locate and contact any possible family resource for them, and to do so as quickly as possible. In addition to permanency, children in litigated custody also need and deserve expediency. •	Family Finding "identifies relatives and other supportive adults, estranged from or unknown to the child, especially those who are willing to become permanent connections for him/her." Working primarily with young adults "aging out" of care the non-profit has successfully located no fewer than 40 relatives or other meaningful connections for each youth. Why wait, however, to find resources for children in need of extra-familial care? Every state should be mandated to find all extended family resources for every child in their care at the onset of every placement, not when children are leaving care. Not only is it in the best interest and safety of these unmoored children, but will also save taxpayers money to have the children placed with family rather than paying strangers. "Adoption should always be the last resort for the child. The CRC, which guides UNICEF's work, states very clearly that every child has to the right to know and to be cared for by his or her own parents, whenever possible. UNCIICEF believes that families needing support to care for their children should receive it, and that alternative means of caring for a child should only be considered when, despite this assistance, a child's family is unavailable, unable or unwilling to care for her or him." "Children have rights. These rights are laid down essentially in the United Nations Convention on the Rights of the Child [UNCRC] and in the Hague Convention on the Protection of Children. Children and their biological parents have a right to respect for their family life." "The child shall be registered immediately after birth and shall have the right from birth to a name, the right to acquire a nationality and, as far as possible, the right to know and be cared for by his or her parents." "Where a child is illegally deprived of some or all of the elements of his or her identity, States Parties shall provide appropriate assistance and protection, with a view to re-establishing speedily his or her identity." "States Parties shall respect the right of the child who is separated from one or both parents to maintain personal relations and direct contact with both parents on a regular basis, except if it is contrary to the child's best interests." Further, America's Uniform Adoption Act of 1994 calls for the protection of "minor children against unnecessary separation from their birth parents." Additionally, the United Nations' Universal Declaration of Human Rights articles 12 and 16(3) address interference with family, stating that "the family is the natural and fundamental group unit of society and is entitled to protection by society and the State." "Motherhood and childhood are entitled to special care and assistance. All children, whether born in or out of wedlock, shall enjoy the same social protection." "Regrettably, in many cases, the emphasis has changed from the desire to provide a needy child with a home, to that of providing a needy parent with a child. As a result, a whole industry has grown, generating millions of dollars of revenues each year . . ."
The Special Rapporteur, United Nations, Commission on Human Rights, 2003. Demand for children remains high. Child protective services are poorly funded and understaffed. As with our legal system, the indigent, the marginalized, disenfranchised and working poor are at higher risk, unequally targeted, and far less able to defend themselves. Their children too often become commodities for more affluent foster and adoptive parents who are viewed as being able to provide a "better" home. The privatization of American infant adoption has turned what once was a social institution for providing care for children in need - into a multi-billion-dollar unregulated industry run by untrained, unlicensed, unregulated practitioner/baby brokers and intermediaries. While children need protection, there has never been evidence that the severing of all ties to one's original family or falsifying one's vital records is in their best interest. Such state-committed fraud that changes a child name, lists adopters as parents of birth and often changes the child's place or even date of birth, benefits only gray and black market baby brokers and child traffickers, not adopted persons. Transparency - not secrets and lies - is sorely needed in every aspect of child protection. However, policies are made to protect paying clients and the attorneys and adoption agencies whose livelihood is dependent on the redistribution of children with non-related strangers. "There is so much wrong with Child Adoption worldwide. "I support its abolition being replaced with a three tier approach 1) Family Preservation: a healthy attempt to keep the child with the parents. 2) Kinship Guardians: a type of adoption by extended family. 3) Guardian Stewardship: a type of adoption by non-familial persons." "Instead, we propose a form of guardianship adoption that we believe would be in the best interests of all concerned, with special benefits for the adoptee for it would decrease the abandonment/rejection issue and permit the child to know the birthparents as real people who cared about him but could not raise him." Adoption as a humanitarian effort - domestically and internationally - falls pitifully short. There are more humane ways to help families in crisis, than removing children. •	Pre birth matching with expectant expenses paid directly from prospective adopters to expectant mothers, which engenders feelings of obligation indebtedness and creates false expectations for adopters. •	Worse still are pre-birth consents. Lawful in two states, they are banned elsewhere for violating the intent of baby selling. •	Presenting open adoption as giving moms-to-be control, inasmuch as promises of ongoing contact are unenforceable in most states. •	Denying adopted persons access to their authentic original birth certifictes. 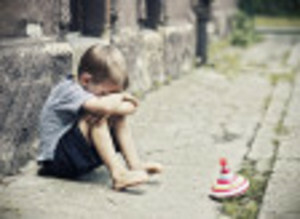 Placing a child in the care of adults to whom the child is not related must always be a last resort option to be used only when there are no extended family members able and willing to provide care for the child related to them. Children are not commodities, and adoption should never prioritize demand for children. No profit should be made by any individuals or agency involved in the placement of children in need. 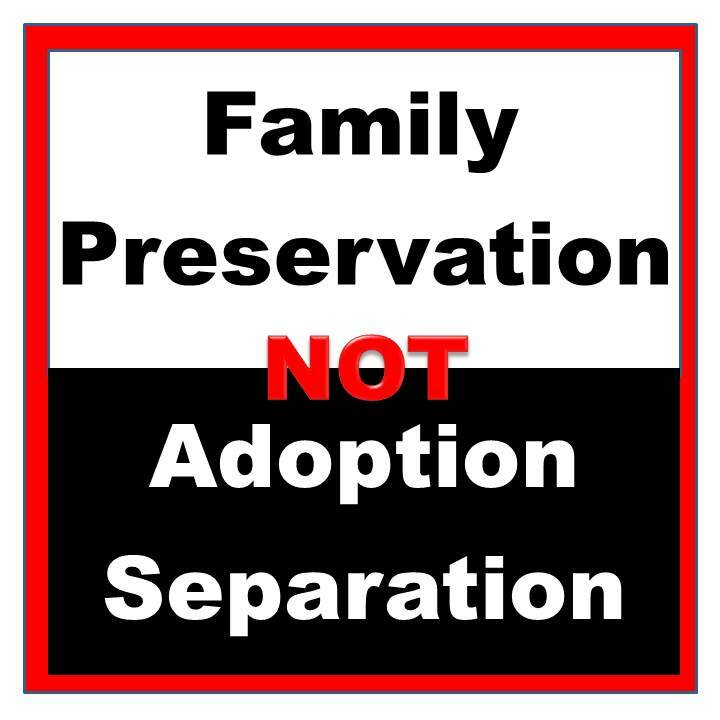 We need more Family Preservation and less adoption separation.